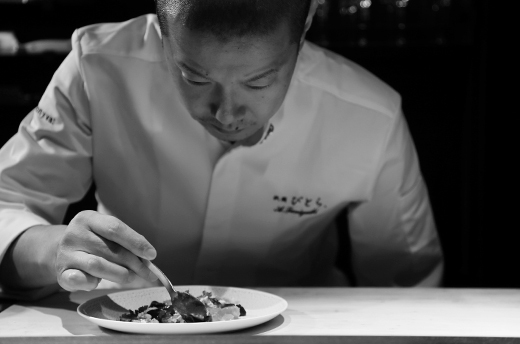 Our seasonal ingredients have been hand-selected by our Chef, Akinori Taniguchi. Our bar counter style service provides you lively hospitality and an extraordinary atmosphere. 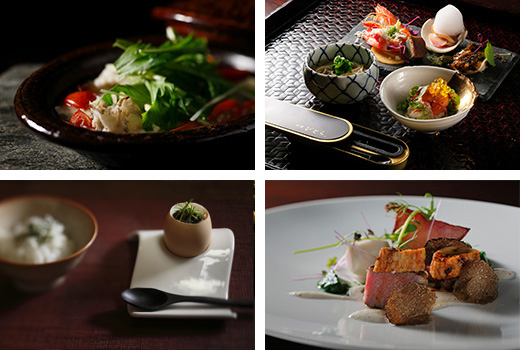 Come and enjoy our Kyoto style French cuisine at our traditional Japanese house restaurant in Kyoto Gion. Since ancient times, the tiger (tora) has been symbolized as the strongest creature of the earth. As richly cultivated blessings of the land, our specially selected ingredients represent the tiger, which we further express as beautiful cuisine. We named this restaurant “Vitra” (bi-tora, Beautiful Tiger) because we have a strong passion to have our guests experience a happiness unlike any before. and brings you the top grade seasonal ingredients to create beautiful and delicate dishes for you.